Research and Development Division is composed of Ricoh Institute of Information and Communication Technology, Ricoh Institute of Future Technology, and Institute of Advanced Printing Technology. 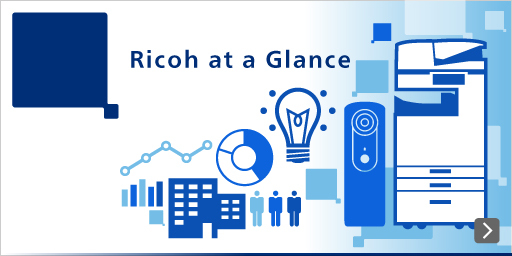 We are committed to solving social issues of the future through our research activities, using the core technologies nurtured through existing Ricoh business activities. Our research and development activities center on the eight office in Kanagawa (Ebina, Yokohama, Kawasaki, and Atsugi), Miyagi, Osaka, Shizuoka, and Kanazawa. *ICT stands for information and communication technology.